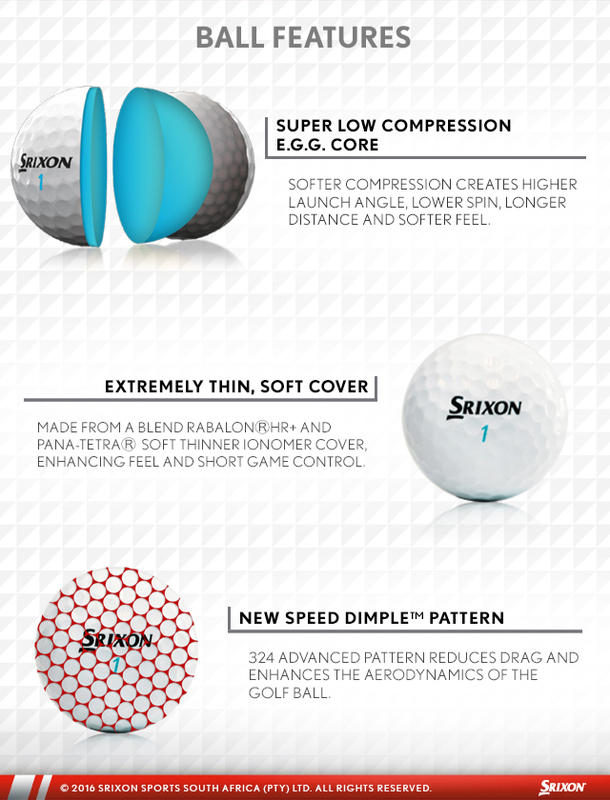 Srixon Sports South Africa is pleased to announce the upcoming release of the new 2-piece Srixon UltiSoft golf ball in April. 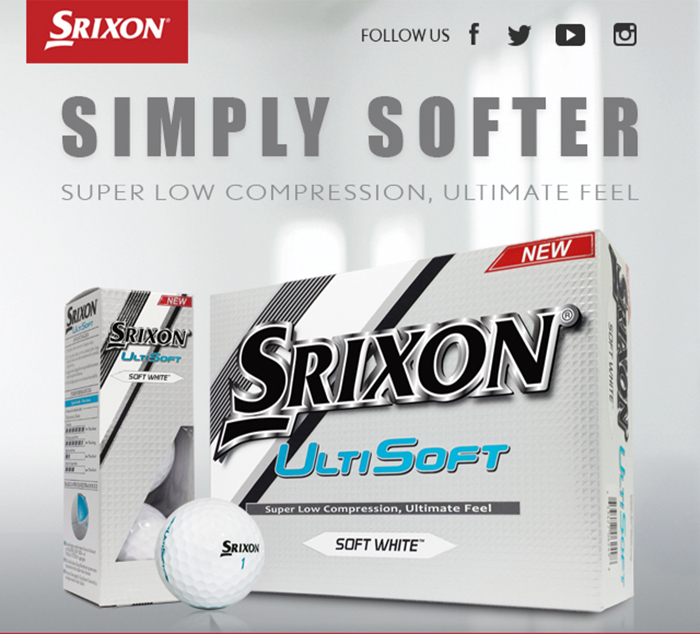 Featuring the softest impact feel in Srixon history, the Srixon UltiSoft delivers greater distance and outstanding straightness. Recommended for golfers who prefer a soft impact feel, especially with a putter and other clubs in the short game. This ball also also delivers outstanding distance to golfers who have lower head speed. Our proprietary Energetic Gradient Growth core and soft thin ionomer cover made with a blend of Rabalon HR+ and Pana-Tetra offer an ultra-soft impact feel, whichever club is used. This feature is especially preferred by golfer when they are putting. Off the tee, the ultra-low-compression Energetic Gradient Growth core helps golfers achieve a high launch angle with low spin for long and straight flight. The benefits of this ball will be particularly noticeable to golfers who have lower head speed. In addition, the 324 Speed Dimple pattern, which was also featured on the Srixon Z-Star series, reduces air resistance for even greater distance. Golfers will experience the incredibly soft impact feel of this ball not only when they putt but also on approach shots. The ball enables slightly longer time not he face of the club for exceptional control with the short game.